Engagement rings are highly symbolic as they speak of the eternal bond that a couple shares with one another for lifetime. This is the reason people take lots of efforts in finding the perfect engagement ring for their better half so that the bond remains unbreakable and becomes stronger with each passing day. Engagement rings are available in various precious metals and stones and in wide varieties of designs. Choose the one that matches your choice and fits well in your budget as well. 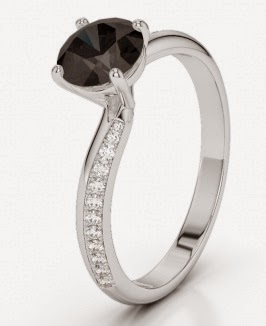 The round shaped black diamond set in the middle of the white gold ring makes this piece a much wanted one for engagement. Apart from the single piece black diamond, smaller diamond pieces are set in the ring as well. The diamonds are set beautifully by the circumference of the ring. 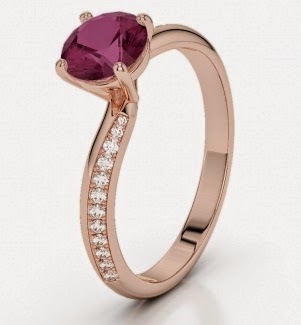 The light pinkish rose gold makes the base color of the ring highly attractive. 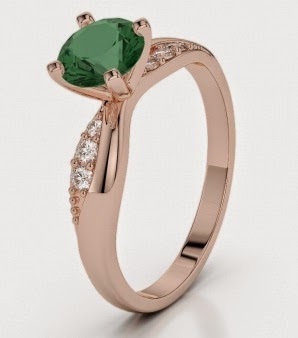 The beautifully cut round emerald stone set in the middle of the ring gives the jewelry a grand and elegant effect. Six pieces of finely cut diamonds are set on either side of the emerald stone. Yellow gold is the traditional gold metal that is used in various kinds of jewelries. This engagement ring has yellow gold as the base and the center is adorned with a lovely dark blue sapphire. Small diamond pieces are set on both sides of the sapphire. 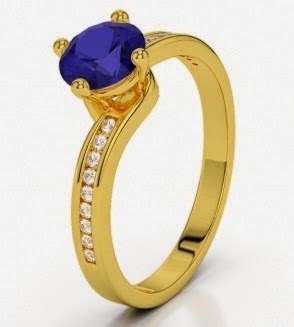 The contrast color of sapphire and yellow gold makes the ring extremely attractive. If you love rings that are bright and bold, this will be the perfect diamond engagement ring for you. 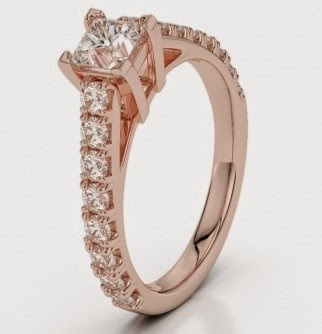 With base of rose gold, the ring has a square top with an oval shaped large diamond set in it. Four diamonds are set on the four corners of the square. Along with this, two lines of diamonds come down from the center to the lower portion of the ring. Overall, the ring has a bold appeal. When you are looking for an engagement ring that has lots of diamonds in it, there is no better choice than this particular ring. 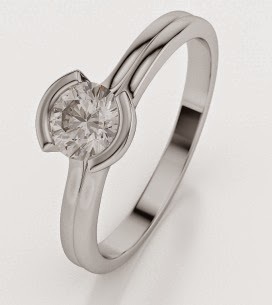 Based on white gold, this ring has pretty round diamond in the center. Many diamonds are studded around the ring giving it a rich feeling. The ring has a very feminine look and appeal. When you are looking for some kind of royal-effect engagement ring, this is the perfect choice for you without doubt. The red ruby is set in the center like a flower and is at an elevation from the main base. Sets of diamonds are studded along the circumference of the ring. The color combination is great and makes the jewelry grand. The combination of black diamond and white gold is a lethal one and your engagement ring is sure to stand out. 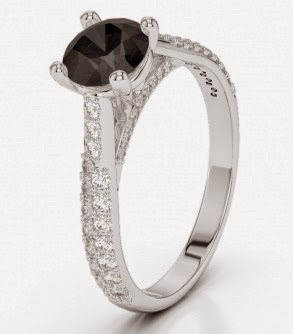 The black diamond in the center is surrounded by diamonds gives the ring a majestic touch. It’s sleek, simple and very comfortable. 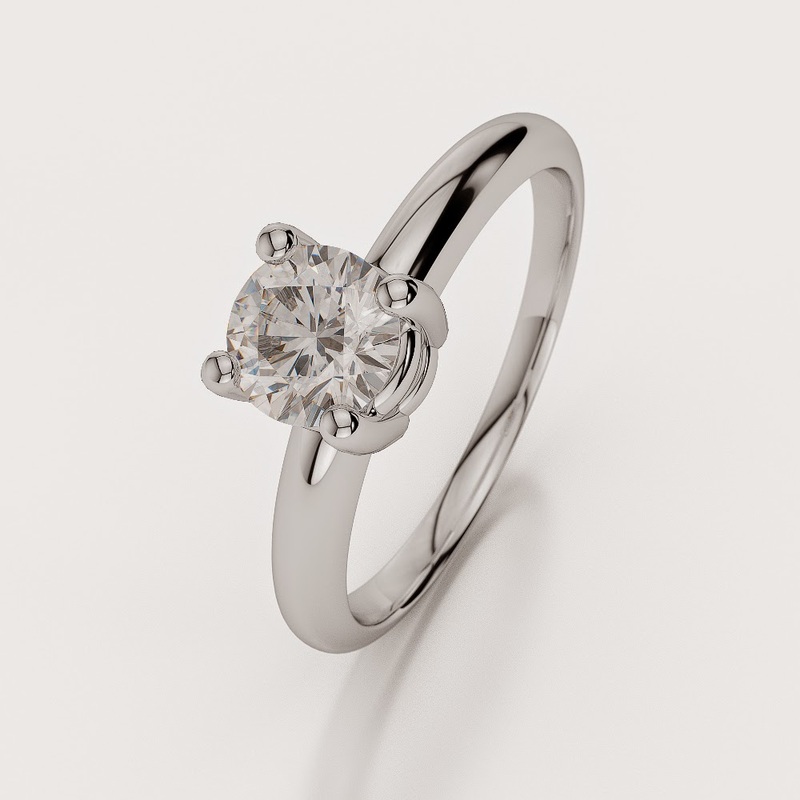 If you are looking for a different design in your engagement ring, check this piece out. 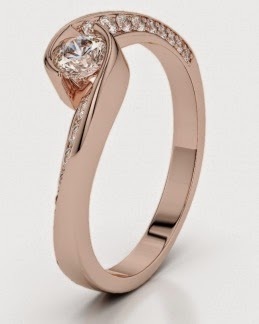 This rose gold diamond engagement ring comes in a little curved design. The bold diamonds are set along the curve making the ring very attractive. This white gold engagement ring has many shapes in one ring, making it very interesting. The top of the ring has a round with a square at the center and these are studded with diamonds. Diamonds are also set along the whole ring. When you are looking for a simple, sleek yet elegant engagement ring, this will be your choice for sure. 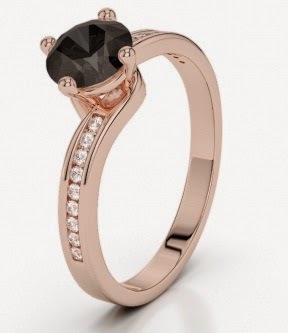 With a center studded black diamond, this engagement ring has rose gold as the base metal. A single line of diamonds is also there in the ring.